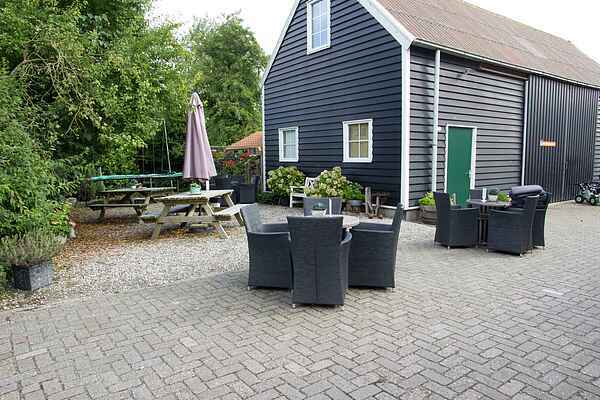 This holiday home is situated in the grounds of a farmhouse and mini campsite in the village of Meliskerke on the island of Walcheren. The ground floor of the holiday home features a cosy living room with a long dining table and an open-plan kitchen. The upper floor has 5 bedrooms and a large, luxurious bathroom. There's an extra shower downstairs as well. The terrace next to the house provides a lovely spot to relax while the children play. The many facilities surrounding the house include a playground, a hayloft and a shop selling local products. The children will get a chance to experience the active farm life, as they can milk and shear the sheep. There are various walking and cycling opportunities nearby. The beaches of Zoutelande and Domburg are just a short distance away. Visit the historical city of Middelburg (10 km) and stroll along the boulevard in Vlissingen (10 km).